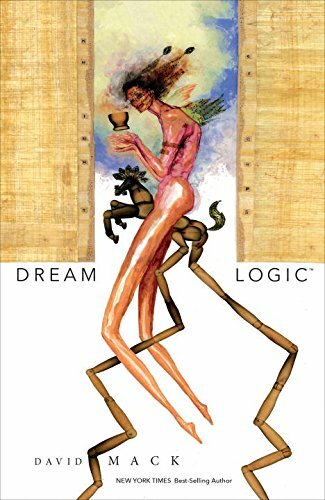 Dream Logic is yet another wonderful artbook by David Mack. If you have his earlier artbook Reflections, the layout and visual style of this book has remained the same. This is a large 216-page hardcover published by Dark Horse. The production quality and binding is excellent. Collected within are unsorted artworks from David Mack. There's no contents page. It's a book you can flip to any page and start. What you'll see specifically would be some original short stories, paintings and drawings from published works, figure studies, large artworks for exhibition, pages from his private sketchbooks and photos from art events. There are the occasional Kabuki and Daredevil but the variety is really well mixed. Some of the short stories are like about his relationship with his dad and mum. There are also collaborations with other people such as Neil Gaiman, Chuck Palahniuk, and also other artists. There are quite a few snapshots of events he attended, such as comic con, or photos of other people's tattoos featuring his art. Almost all the pieces are created with pen, ink, brush, watercolour or collage. It's nice to see his line work using brush, especially for the figure drawings. The watercolour portraits also look great. Most artworks have personal notes and commentary, and there are some step by step shots of his work in progress. There are some duplicated works, such as the cover art which is from the Reflections book, but there are also a lot of new works. Anyway, it's difficult to compare duplicated work because the layout of his art and content follows no particular pattern which makes it hard to do so. If you like this book, also check out Visual Funk: Jim Mahfood Art.